Toys and candy may top most lists to Santa but a lifetime love of reading is truly a gift that will last forever. For the fifth year, Chronicle Books is asking shoppers to pledge to Give Books for the holidays and share their love of reading with family and friends. Take the pledge by clicking the photo above or by using the hashtag #GiveBooks on your social platforms. 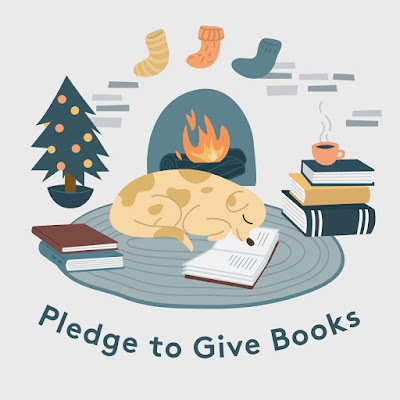 For every pledge, Chronicle Books will donate a book to a child in need, up to 30,000 books this holiday season! Use the hashtag #GiveBooks as many times as you want— each use counts as a new book in the hands of a child, and a testimonial to the magic of reading. This year, the Give Books campaign is giving holiday shoppers a new way to share the love of reading: every Chronicle website order will be matched with a donation to First Book. As an extra incentive, they are offering 35% off orders placed on chroniclebooks.com with code GIVEBOOKS. Let’s give books this holiday—to our family, our friends, and those that need them most.